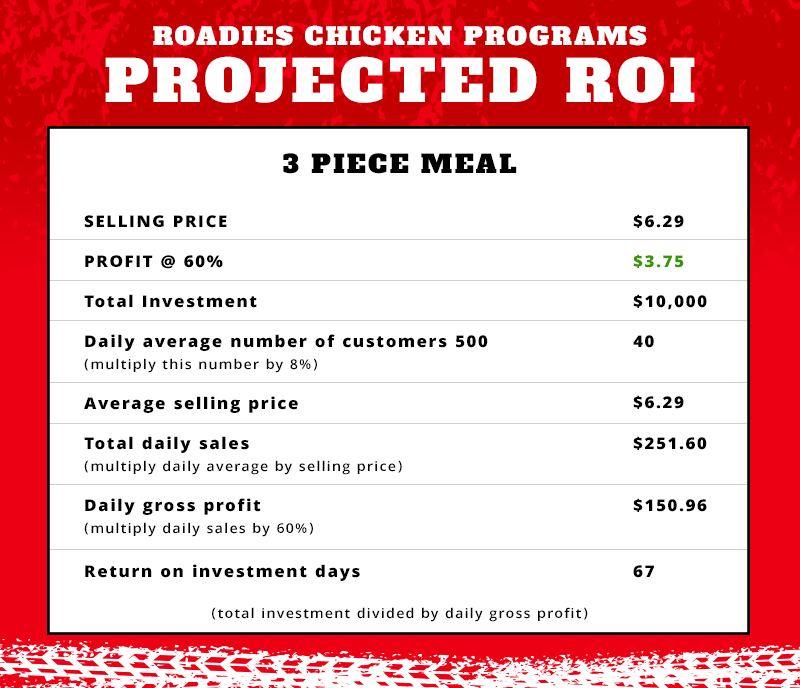 How would you like to have a retail chicken program without all of the negatives of a franchise? There are numerous companies that manufacture fried chicken equipment. Each of these companies has strengths and weaknesses. We offer a “free consultation” service to help you identify and acquire the equipment to fit your needs. Preparing fresh chicken for frying has never been simpler than with this Breading and Batter Table (BBT). This complete cabinet-style unit features a canted shelf to hold a food tote of marinated chicken, and a batter dip pan with a spring loaded, hinged basket to dip pieces into the batter mixture and then dump them directly into the large pan of breading – preparation made quick and easy. 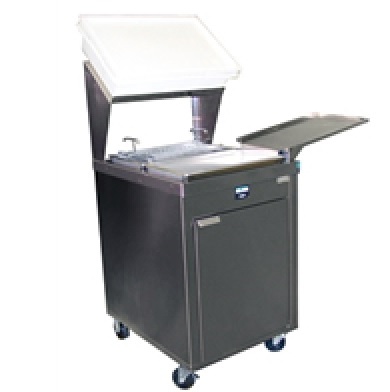 The removable tray can be attached to the BBT side, providing a convenient place to stage breaded product for loading into the fryer. For hot meals-to-go, the Roadies Heated Merchandiser heated display case features curved tempered glass styling and incandescent lighting to accentuate your product. The exclusive infrared heat pattern, combined with the heated base, keeps all food at the “just made” taste and temperature longer, and use less energy than competitive display cases. Combining state-of-the-art design with performance, these warmers place the focus on the product while holding hot food safely at proper serving temperatures. Perfect for front of the house use. Your business will be serving a product that customers will return for again and again. 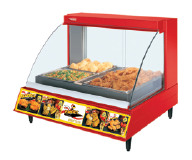 With the Roadies display warmer, you’re presenting a well-recognized fried chicken brand.